In the last video on my scratch built sci-fi ship, I had built the engine and thruster section. 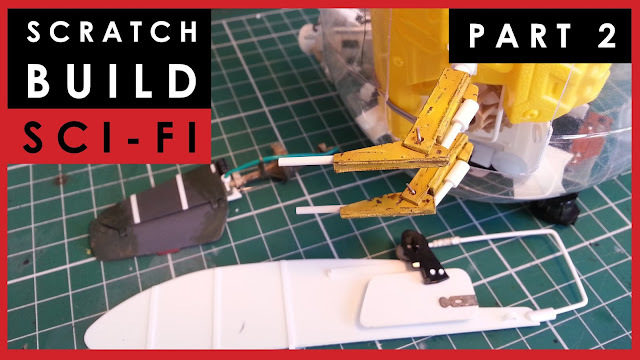 In this latest video, I've been working on the various rudders and the mechanical sections which will mount a large aerlion. It's slow progress, but I'm enjoying the scratch building journey. The solution: just push on through. Scale model science fiction scratch build - Part 2.